Summer vacation is one of the perks of teaching. That punchline answer of what’s the favorite part about teaching–June, July, and August–has some truth to it. I didn’t go into teaching because of summer vacation. * Summer vacation is a lovely benefit after months and months of —oops, I digress. Today’s post involves the art of the StayCay Away. Yes, it’s a sub-category of that recent trend of staying at home while vacationing. I am not a traveler, although I have done the Lucy Room with a View Europe trip (husband hunting did not occur, although my paradigm did shift about what it means to be American), and I’ve done the exotic locale trip–both the Bahamas and Hawaii (love the ocean, hate the looonnng plane trip). I’ve done short border jaunts to another country: Canada and Mexico. I’ve even done the opposite coast conference trip–twice. Not a lot of traveling, but enough to be able to state that I like staying at home when I vacation. What is there not to like? I have all my comforts: bed, refrigerator, backyard hammock, and closet (I tend to bring the wrong clothes when traveling). Okay, yeah, it does get a bit tedious the day after day routine of same walls, nagging urge to weed and dust (I thought I was on vacation), so this is when the StayCay Away activates. I pack up and head to Mom’s. This is not going home. This is going to her condo that she uses only a couple of weeks out the year because she lives year round in the desert (the things we do for marriage), but can’t quite give up the place. I have a key. A day’s drive, and I have a homish away from home. It’s in my old neighborhood, all the amenities of fridge, recliner, the library is next door, and a pool (something I definitely don’t have at home, and swimming in the lake is not an option). I still pack the wrong clothes, but that gives me an excuse to go shopping. The hubs stays home. Two days of nothing to do but read books creates restlessness. And that’s what I do at my Away VayCay: I read. And read. The library has a Friends of the Library corner where books range from 35 cents to 50 cents for really great reads. I bring in five dollars and a book bag and load up on classics, contemporary bestsellers, and let’s-take-a-chance titles, plus a few for the classroom library. In between reading I visit friends and family**, watch a couple of movies, take long walks, and think about not eating since I hope to lose five pounds by not having much food in the refrigerator. Reading is a form of hunger suppressant. Movies require snacks. The StayCay Away helps me appreciate Home when I return because I really am I homebody at heart–Dorothy knew what she was talking about. So a vacation where it’s a lot like home works well for me. Anyone else have a StayCay Away to share? *That’s for any parents or students reading this post. **Just in case friends and family read this post–you really are my first priority. May provided a mixture of titles. It was a grab and go find time to read as the month was filled with AP testing and finishing up curriculum units. Brain in a blender is how I refer to those mad days of teaching in overdrive mode. Sometimes it’s difficult finding enough energy to peruse a few pages without falling asleep. Book whap in the face is embarrassing. An enchanting tale with a warmth about it that makes it suitable for a cozy wintertime fireside session or as a drowsy summer hammock companion. Reminiscent of Tuck Everlasting in how true love is shadowed by a family curse, with a bit of the charm found in D. E. Stevenson’s novels. Gently told and full of quaint characterization and imagery. I hope to find other novels by the author. A delightful five star read. A bit of Benjamin Button mashed with Dr Who timey-wimey stuff. The idea of someone who ages incredibly slow is intriguing as it has so many plot possibilities. Unfortunately, most of the story centers on how miserable Tom Hazard is concerning his condition. He is over 400 years old though he looks to be in his forties. Falling in love is problematic, as is staying in one place for more than eight years. The flip flop of Tom’s backstory mixed with present day is the stuff of novels these days, so that wasn’t the issue as much as the over-dramatic ending with serious plot holes. The overall premise is quite clever, the storyline fairly entertaining despite Tom’s grousing. The inclusion of Shakespeare garnered the four stars, otherwise a middling three. While some readers may appreciate yet another spin off of Jane Austen’s Pride and Prejudice, it is a universal truth that providing a refreshing retelling is difficult. This is the case for First Impressions by Debra White Smith, who begins her series of Austen retellings with the familiar love story of Darcy and Elizabeth. White attempts to freshen up the story by placing it in a contemporary Texas small-town. Some of the characters have changed, yet not so much for the better. Darcy is Dave, a millionaire hiding from his fame, Elizabeth is Eddi, a sassy lawyer, Jane is Jenny, ambivalent about the men in her life, and Bingley is Calvin, endearing, yet somewhat bumbling in his attempts at admiring Jenny. Lydia is Linda, the promiscuous sister. The Bennett parents still play their assigned roles of mother with no filter and passive father. The other two sisters didn’t make the cast. Wickham is a police officer gone wrong, and Connor becomes the awkward smitten cousin. Overall, the dialogue and attempts to match key dialogue and plot points comes off forced, such as making Connor a third cousin, with several reminders that it’s okay to marry cousins in Texas. Retelling such a well-known story can be problematic, partly since readers have high expectations the characters and plot will provide similar vitality. 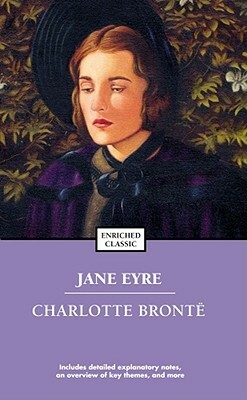 Unfortunately, First Impressions did not impress, and it is with regret, as it held promise in its chosen format, but tried too hard to emulate Austen’s story and earns a two star. Piper loses her best friend Lydia, and is determined to find out what happened to her. 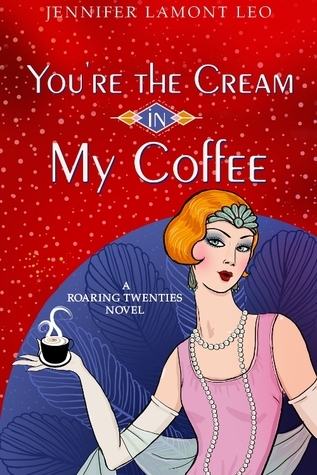 This is no easy task for an eighteen year old society girl living the crime-prone era of 1920’s Chicago. As Piper begins her investigation into Lydia’s disappearance, she begins to jeopardize her own safety. Fast-paced, with notable era details, this is an engaging read. Odd, that it is labeled as a YA, since its history-mystery format is more inclined towards an adult audience interest-wise. One off-putting aspect of the novel is the way Piper is presented: tomboyish, clever, yet emotionally immature. Her overly-dramatic behavior makes her seem much younger than eighteen, more like fifteen, which makes it surprising that a mature police detective like Mariano would be interested in her. The ending definitely hints at sequels, as there are a couple of loose ends that need attention. A four star in spite of Piper’s tendency towards being irritating in her enthusiasm in solving problems. One of those books that turn out to be a not what I thought after reading a trade review. I liked the cover and was initially persuaded this would be quirky graphic novel. The idea intrigued me of illustrating published stories, a blending of text and visual interpretation. Somehow the stories didn’t quite work. The art kind of did. But they didn’t necessarily work together. “Thursdays, Six to Eight p.m.” is the best pick–fresh and funny. A middling three. A side note is that Niffenegger is the author of The Time Traveler’s Wife. After next week I am free to read anytime I care to since school obligations will be over. I already went shopping at the library and have a shelf of reads ready to go. I look forward to feasting with my reading sessions instead of the peck and nibble I contend with. As much as I enjoy teaching, it does get in the way of my reading. One of my daily subscriptions is Dictionary.com. I’m a confessed word nerd. I enjoy learning a new word as much as some people get that thrill from a new tasty food item. Hmm, words are nourishing in a way, aren’t they? Hope one of these inspired you to grab a book or sit down and write something simple or even profound. And now it’s back to editing my own writing instead of veering off chasing my email distractions like a rabbit chasing a dog around the yard. By way of a Quora question request I found perhaps the most beautiful article in the NYTimes mobile about reading. As a parent, who is a writer/librarian/teacher, I value reading and getting books into the hands of kids, especially mine when they were little. I remember being the only librarian on staff who had pre-schoolers which meant I had the privilege of taking home a stack of picture books before they hit the shelves. I would gather my brood around me on our eastern king bed with the dark blue velour blanket and read and read and read. “You are the first children to ever read this book,” I would intone before commencing. The books would crisply creak when I opened them, they were so fresh off the press. I’m a closet dramatic and reading books in character voices is how they heard George and Martha and their pb compatriots. Reading out loud to children is important. I read out loud to my granddaughter when we are together. I introduced her to Narnia. I read to my high school students, or have a book tape read to them. They are not grown up enough to stop reveling in the joy of being read to out loud. And so, this is my Mother’s Day post celebrating the joy of having read to my own children. We didn’t have a Streak, but we did create some memories together. I am woefully behind schedule in my Good Read’s challenge, being at a paltry 29%. I am five books behind! Who knew taking on teaching another Advanced Placement class would zap my energy for even my go-to-unwind activity of reading? Preparing students for their AP exams has left me so tired I have to take a nap so I can get enough energy to go to the gym. And I can’t skip the gym because I tend to binge on chocolate when stressed. Wednesday was the last exam. Life is looking a little less frazzling going into the weekend, especially since I’m taking a couple of personal days and extending my weekend into Tuesday. Reading books and relaxing are premier on my agenda list after Friday. 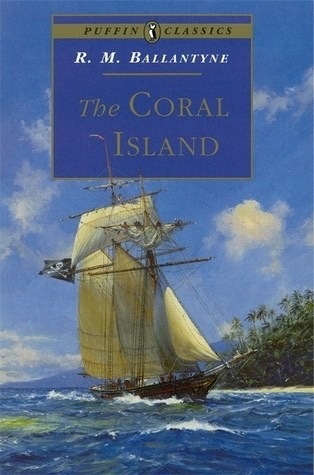 In the tradition of old tales of yesteryear such Stevenson’s Treasure Island, is found The Coral Island. Shipwrecked, three young men make their island their home. They have their share of adventures providing readers an enriching story that heartily entertains. 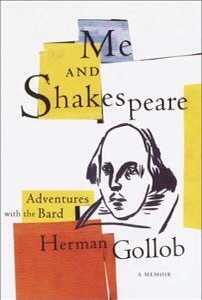 The Crayola bright color combined with the enticement of Me and Shakespeare prompted me to stack Herman Gollob’s memoir on top of my other reads. Gollob’s title attracted me for the reason of how personal it sounded, as if he and the Bard had gone on a road trip together. In actuality, this is a Journey tale. Gollob’s skillful weaving of his extensive experience as a book editor and his discovery of Shakespeare creates a fine and enjoyable read. Sometimes Gollob became a bit pedantic and negative, yet overall he added insights to my own Shakespeare interests. 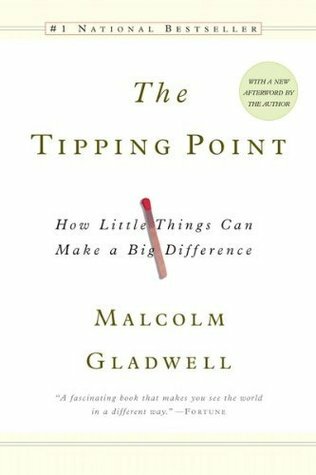 Gladwell presents complicated sociological ideas in such a conversational manner that once the chapter is finished there is a satisfying acknowledgment of understanding what has been discussed. He presents the topic, performs a seemingly unrelated side excursion of information and then neatly links it back to the first topic. This explains his popularity. I’m looking forward to reading his other books as well. A seriously fun book for 9-11 year olds who will enjoy the mixture of goofy and practical activities ranging from surviving being in a horror movie to making a friendship bracelet. 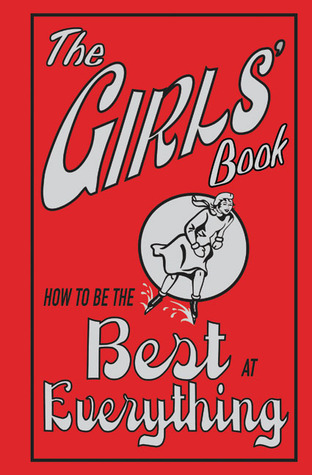 Or it could be considered a present for thirty-something women who seriously have fun reading these nostalgia guides. 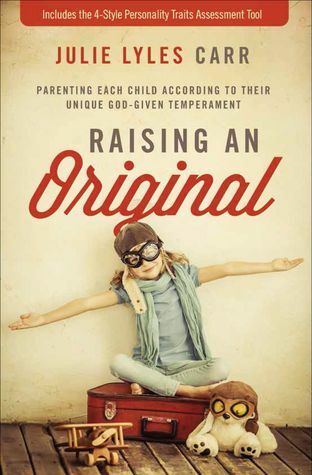 A mother of eight children, all who are featured prominently in the chapters, Carr weaves together advice, experience, anecdotes, scriptures, and a healthy dose of charming humor founded in likable reality. One aspect that is notably artful is her ability to take a metaphor, be it lace-making or her daddy’s signature blue dress shirt, and apply it to parenting techniques. Her book reads well. It’s engaging and thought-provoking. Marjorie is that small town girl who goes off to the city and makes changes. She changes her looks, her ambitions, her love interest. Chicago does that to the 1920’s kind of girl. The humorous situations that Marjorie often finds herself in are reminiscent of a Shakespearean plot filled with misunderstandings, thwarted lovers, and secret identities. A well-researched novel that focuses on the alcohol issues related to Prohibition, WWI and PTSD, plus a look at the advent of the independent working girl, this is a “bees knees” of a debut read. To date there are around 70 Book Boosters. There are no secret handshakes, no monthly meetings. I have considered t-shirts and bumper stickers. As a thanks for taking the public step as a proclaimed bibliophile, I shall spotlight a random Book Booster. Being a writer can be wretched. (What did Douglas Adams say about it: staring at the page until your eyes bleed?) So in an attempt to stop my eyes bleeding, or my brain exploding I thought I would use this blog to write about the place where I am now (Shropshire) and the places where I used to be (Kenya). Sometimes they get mixed up together. But that doesn’t matter. Anyway, the literary analysts tell us that creating a convincing setting, that telling sense of place through which the human action threads and is revealed is crucial to any story – non fiction or fiction. So these are my practice pieces, then; a fending off of writer’s block perhaps. Who knows? Other stories might spring from them. Tish also provides amazing photos. I especially appreciate her Kenya shares, as I doubt I will ever make that journey. Are you interested in proclaiming your love of books, your need to read? Leave your name and I will gladly add you to the growing list of Book Boosters, and who knows you too might find yourself as a featured BB Spotlight in the near future. January is a month of reflection. This is probably due to January being the default month since it is between Christmas past and Valentine’s Day to be. While working off Christmas treats in order to succumb to anticipated chocolate hearts I have decided to give my 2015 year of reading a closer examination. Actually, I probably wouldn’t have done much more than said “Cool. I met and surpassed my Goodreads Reading Challenge.” Since they took the time and trouble to send me such an attractive report, I shall share the highlights with you all. If the pontification of accomplishments is not within your scheduled viewing, I am absolutely not offended if you drift off to the next blog in your reader. However, I am hoping you will stick around. I set my Reading Challenge at 50 books, thinking “Hmm, that’s about one per week–that’s doable.” With so many great recommendations from so many dedicated Book Boosters like Heather and The Paperback Princess, I kept adding to my “To-Read” list and kept reading. I still have about 73 books on my TBR list. *Sigh* I have need to read issues. 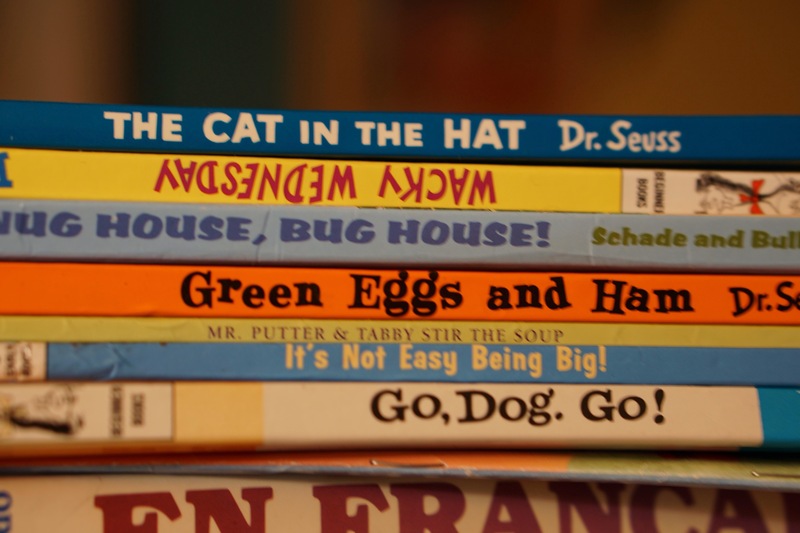 Reading books to kids at bedtime is a lovely routine, a cozy bonding time, and a way to pass on the joy of words to children. 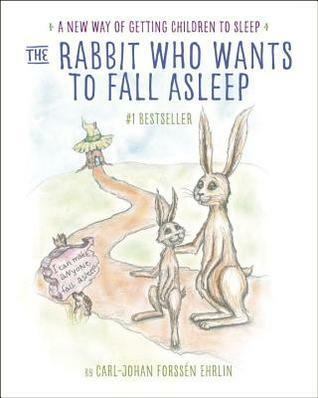 I anticipated this sort of connection when I requested Ehrlin’s The Rabbit Who Wants To Fall Asleep and was sorely disappointed when I discovered the text to be a form a hypnosis-inducing sleep tool. The purposely scripted story is almost a little scary in its intent. Instead of waving a golden watch and chanting, “You are growing sleepy” a fuzzy bunny becomes the stuff dreams are made of. While some may like a lab technique to put kids asleep, I’ll go for the classic lullaby of cuddle and lulling words. 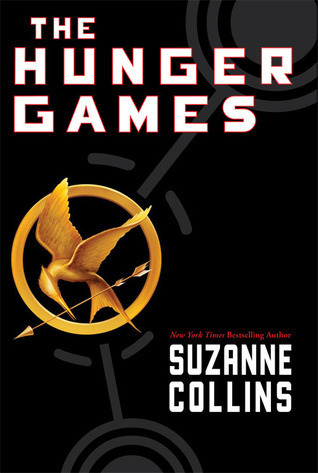 I decided to reread the entire series in one dedicated weekend as a preparation for the last installment of the film adaptation. I do think JLaw IS Katniss. 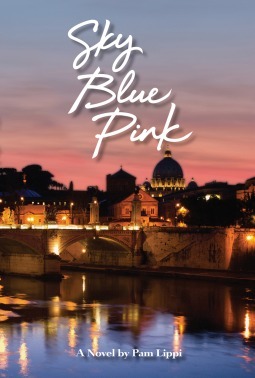 This is a self-published fictional memoir and it is a fun little read about two seventeen year old girls who travel around Europe after graduating from high school. This was back in the days of the seventies when bell-bottoms and adventures were part of the culture. 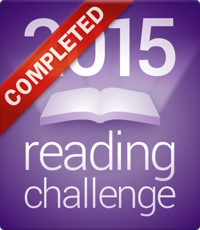 How was your 2015 year of reading?